Universal’s Annual Holiday Celebration returns! Grinchmas – Universal’s Islands of Adventure will welcome Grinchmas at Suess Landing. The entire area will be filled with holiday cheer. 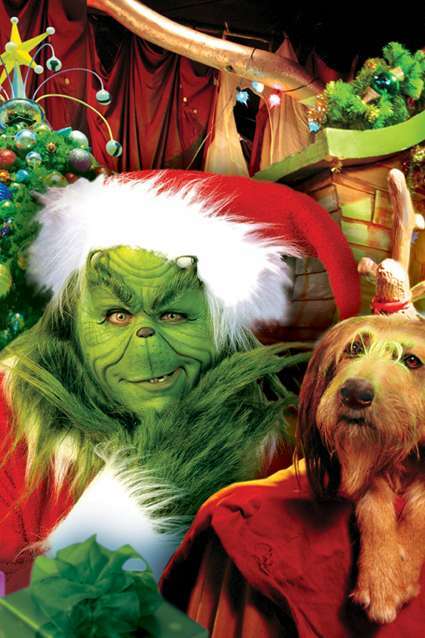 “Grinchmas Who-liday Spectacular” will be a live retelling of Dr. Suess’s classic tale “How the Grinch Stole Christmas” featuring The Grinch & the Whos from Who-ville. Macy’s Holiday Parade – Every night at Universal Studios, guests will be able to see some of the balloons from the Macy’s Thanksgiving Day Parade. The parade will also include colorful holiday characters, fantasy filled floats & a tree-lighting ceremony by Santa Clause himself. Don’t miss the new towering balloon Chloe The Clown “Balloonicle” with a self-powered vehicle that will roam the streets of Universal Studios. Mannheim Steamroller – On the Music Plaza stage in Universal Studios, the Christmas music sensation will be performing memorable holiday hits with a modern twist. Performances will be on Dec 6, 7, 13, 14, 20, & 21. Want more information on the holiday happenings at Universal Orlando? Just click here! The on-site hotels will also be having lots of festivities to celebrate the season! Click here for more information & current rates. Or just click our ad for Destinations in Florida to let our dedicated agent help plan the perfect holiday vacation for your family!! 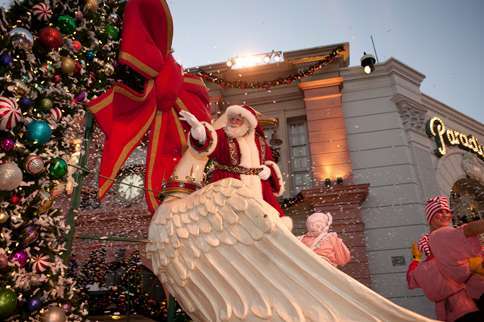 What’s your favorite thing to do to celebrate the holidays at Universal Orlando Resort? Let us know! Previous Post Great talent coming soon to the Dr. Phillips Center for the Performing Arts! Next Post SeaWorld Orlando 2015 Event Dates Released!